Though we might not realize it, we’re surrounded every day by the results of successful graphic design work. From the advertising that we see in magazines or on billboards to the look of every Web page, all of it is the product of at least one artist’s vision. Seeing a finished graphic design piece can leave one wondering at how much time, skill, and training went into producing the image. However, producing high-quality graphic designs can be much simpler than we think. Free resources abound on the Internet and can be used to fill out the tool kits of novice and experienced graphic designers alike. This field is so useful in our world that almost anyone, from individuals with small businesses to professionals launching careers in fields such as advertising and Web design, can benefit from a familiarity with the principles and skills of computer-generated design. Several programs can be used for computer-aided design, but for better or for worse, Adobe’s Photoshop and Illustrator are the industry standards. Though they’re not cheap to acquire, once the initial investment has been made, there’s a wealth of resources to help users tailor Photoshop and Illustrator to their needs. Not only does Adobe offer a smorgasbord of tools, tutorials, and services, but the Internet is awash with artists and content creators sharing their own Photoshop add-ons, shortcuts, tricks, and secrets of the trade. Both programs are highly modifiable and allow additions such as new fonts that add a unique flair to any design as well as brushes that can be used to ensure that the texture and tone of original graphics look just right. Photoshop’s omnipresent nature has also allowed for the development of a legion of product mockups that can be downloaded and installed into Photoshop. These templates often have built-in layers so customizing and presenting an image or product can be simple as performing a few simple steps. Whatever the size or style of the project being undertaken, it can always benefit from an understanding of the principles of type design, color theory, and learning from others’ successes and failures. When text is present in a design, it is the single most important communicator in the piece. If the formatting or styling of text looks boring, unprofessional, or too difficult to read, it can drive the audience away. It is therefore vital to understand how to generate eye-catching yet clear word art and text blocks. In the same way, skillful use of color and imagery can make the difference between a design becoming a compelling piece of art or something that is easily skimmed over. It’s important for designers at all levels to understand how colors interact and what message the colors they use in their designs are communicating. Studying the work of others can also provide invaluable insight. By observing the work of others with a critical eye, a wealth of inspiration and understanding can be obtained. Equally useful is the fact that it is often easier to appreciate or notice mistakes, missteps, or missed opportunities in the work of others. These lessons can then be applied to your future works. 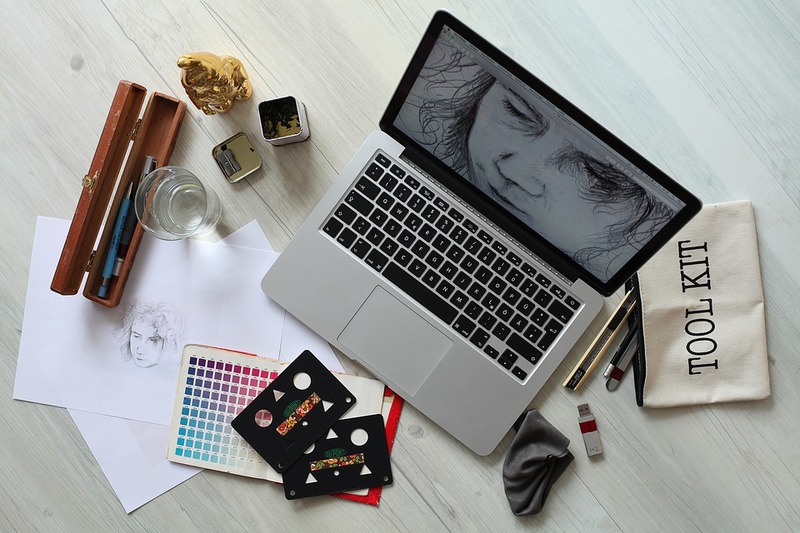 It is an understanding of all of these things, as well as a discerning eye and attention to detail, that forms the repertoire of the successful graphic designer.